Hi, SE Readers! Joan here on this Monday morning. 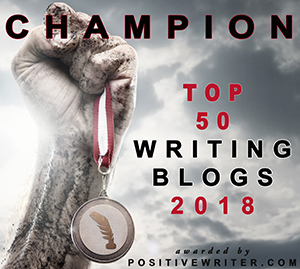 No matter if we’ve been writing twenty years or twenty days, if we have dozens of published books or none, most of us have times when we get discouraged. Sometimes we may even want to give up. But then, you’ll come across a quote, a line in a movie, or a sentence in a book that makes a significant impact on your life. Often, these things come when you need it the most. So today, I’m going to share a few quotes that have made an impact on my life and my writing career. I’ve often said that I wish I had begun writing at an earlier age. I could let those regrets keep me from writing now, or I can choose to write. The quote by C. S. Lewis is an excellent reminder that we are never too old to begin something new. In one of the first writing classes I took, the instructor used this quote by van Gogh. He referenced painting, but it equally applies to writing. I struggled with self-doubt for years but this quote has made a big impact on me. Now, whenever my inner voice tells me, “You cannot write,” then I write. Writing silences that voice. There are times when we will succeed and times when we will fail. If we stop with our first success—whether it is a freelance writing opportunity or a published book, we will miss some great opportunities. Likewise, if we let our failures (and there will be some) to discourage us to the point of quitting, we will never succeed. We must have the courage to continue. Imagine what could have happened if Thomas Edison had given up after two or three attempts at inventing the light bulb. As writers, if we quit after two or three rejections, we will never succeed. Keep striving! The life of a writer is indeed a journey—often filled with unexpected twists and turns. It is a marathon—not a sprint. Sometimes the journey is difficult, but remember, we need to take only one step at a time. I don’t like to be around negative people—those that always think the worst and never see anything positive in any situation. Likewise, beware of those who belittle and berate you. They can destroy your self-confidence and ambitions in a heartbeat. The last quote speaks for itself. Believe!You!Can! What are some quotes or words that have made an impact on your writing life? Please share in the comments. Love these quotes! Each is a good reminder to keep moving. Persistence! Glad you enjoyed them, Julie! Love these quotes, Joan. They are timeless (which is nice, because I’m a day late reading your post!) Since I didn’t start writing my first novel until age 69, I’m especially in love with the first one, but every one of them is powerful, and worth remembering. Thanks for sharing! I began writing (seriously) in my fifties. So yes, that first quote really meant a lot to me. Thanks for commenting, Marcia! These were awesome quotes, Joan. I especially love the one by Thomas Edison. I never heard that before, but it’s just become a favorite. Inspiration and encouragement from Joan Hall in today’s Story Empire post! Great job, Joan! A great post to start a new week. Love all the quotes. I feel so motivated now. Thank you, and happy writing to you. Some days we just need a little encouragement. Glad these motivated you! Glad you liked them, Natalie. I have a lot of inspiring quotes that I’ve saved. These are among my favorites. Yes, Mondays. Always good to have encouragement on the beginning of the week. These are all great quotes. Thanks so much for sharing them, Joan. My favorite quote is by anonymous – “Imagine with all your mind, Believe with all your heart, Achieve with all your might.” Happy Monday! I like that one, Jan! Hope you’ve had a great Monday! I like that one, Yvette. And it’s so true! What we tell ourselves is so important. As you wrote above, if we think we can’t then we can’t, and if we believe we can then we can. That’s a good one, Harmony. Today’s post is a bit different, but we can all use some encouragement now and then. I only came across this one recently, but I find it very applicable, especially for those just starting out on their writing journey. Regardless of the result, you learn something new every time you write. Therefore, every time you write, you get better. Great quote, Rebecca. And it’s so true in regards to writing. You are right, we should strive to get better and learn something new with everything we write.